One of my favorite jazz pieces, it seems forgotten today. Not sure why. He recorded it in 1948, well before people really thought of doing anything like this. It’s an art piece, really, and within twenty years there’d be hundreds of solo tenor sax recordings. But in 1948 this was about it. I suppose with the bebop explosion going on something as spooky and contemplative as this would be passed over. It’s not as exciting as “KoKo”, certainly, or “Salt Peanuts”. But it’s deep, and it’s beautiful, and it’ll hang with you for quite a while. Those were jukebox nights then, and for a nickel you could sit at the bar and smoke and drink and listen to the notes of an unseen saxophonist. It ends with the melody hanging in the air, unresolved, just like this. 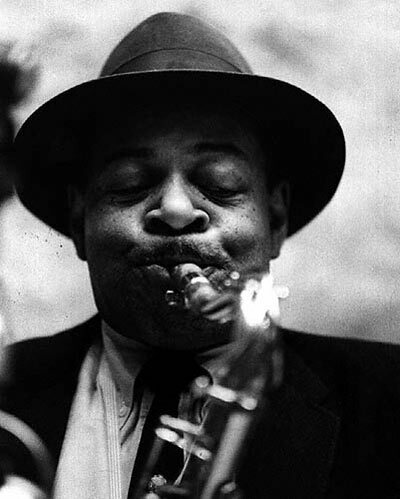 This entry was posted in Jazz and tagged Coleman Hawkins. Bookmark the permalink.